I understand that my most important contribution is on integration. An evaluation model that I proposed in the 1970s, which I still use for conducting research and promoting interventions on training and development, reveals this intention to integrate. Two decades later, a method I developed for literature reviewing on organizational behavior also echoed that purpose. In this chapter, I reflect on my professional life and some aspects of my personal history, particularly in relation to two distinct contexts in which I have spent most of my professional life: an applied research organization (EMBRAPA) and an academic institution (UnB). Because my interest in science originated well before those two jobs, I will start this history in 1969, 10 years before I began my job in the first of those contexts. I will finish this narration 48 years later, after describing why, how, and where I contributed to both contexts. 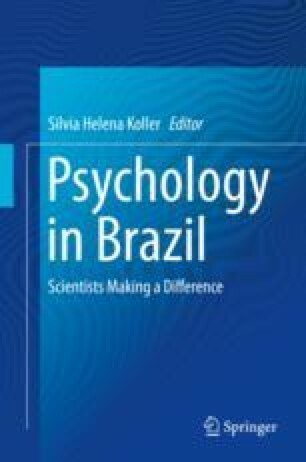 This text became much better, after receiving the generous comments made by Antonio Caetano, Douglas Horton, Gardênia Abbad, and Luciana Mourão Cerqueira e Silva. Thank you!